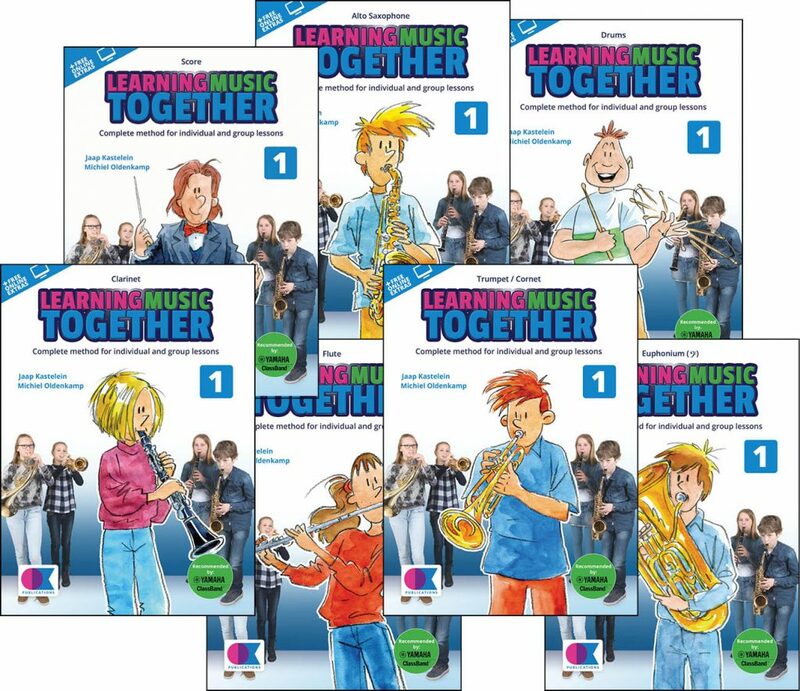 Learning Music Together is a method for instrumental lessons and class band in one. Instrumental technique is introduced and developed alongside the learning pathway for the class band, where the emphasis is on playing together and general musical content. Combining these two components produces the complete method. 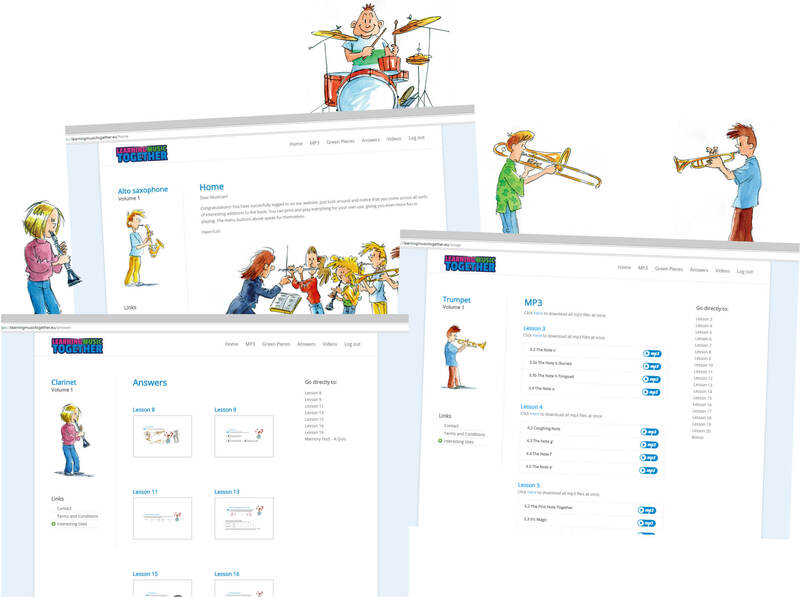 The extensive website offers all kinds of supplementary materials such as demo and accompaniment tracks for all pieces, additional playing material, and instructional videos. The logical structure and child-friendly layout ensure that this method will prove to be motivating for students. The method can be used in many different and varied settings – small or large groups, ensembles, brass or wind bands. 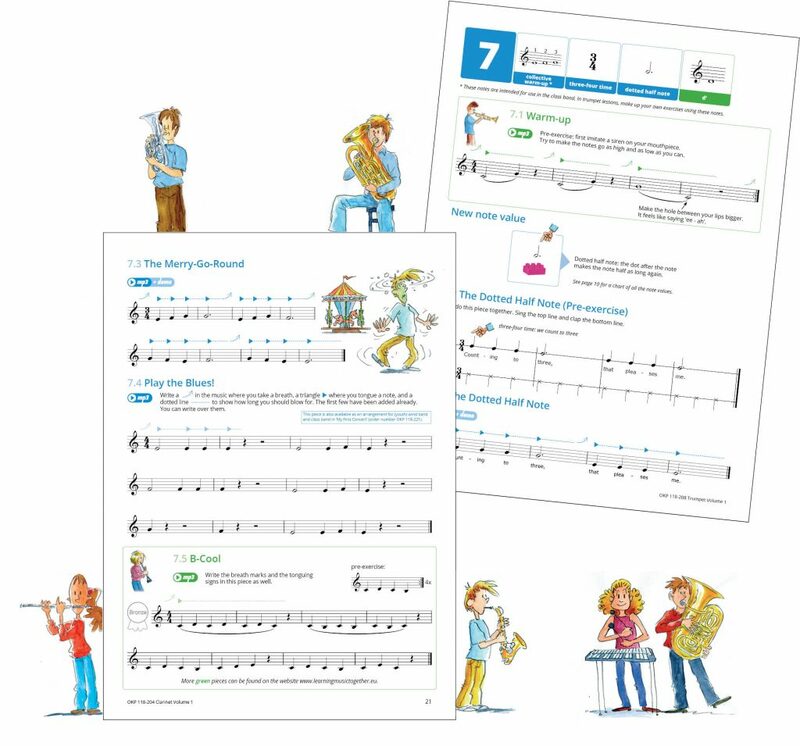 In the comprehensive score, there are useful tips and additional exercises to help train the students, improve their aural training, and promote playing together. The method consists of two volumes. Volume one introduces the basic principles of playing a wind, brass or percussion instrument. Initially the pieces are in unison, but gradually this is extended using games and collective warm-ups. The class band develops gradually and students learn to listen to each other at all times. Duets and two-part playing is also introduced. There is a special website for each instrument in the series. These contain all additional materials to support the method, such as demo and play-along tracks (MP3). These can be streamed online or downloaded onto a smartphone, tablet or computer. There are also additional pieces, instructional videos for some instruments, and answers to the quiz questions. Each student book contains a specific username and password to give access to the website. 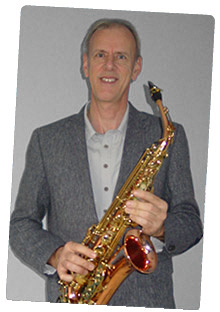 Michiel studied saxophone and has been involved in music education writing and developing pedagogical material for many years. He is an active conductor, saxophone teacher and leader of class bands. Jaap studied Education at university and saxophone at conservatoire. 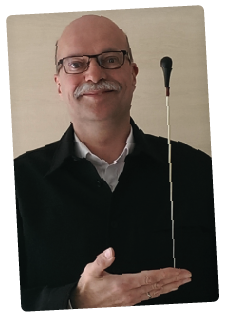 After years of teaching at various music schools, he used his experience to develop successful teaching methods for wind and percussion instruments.